+ Manuel Concert in Madrid at "Festival electrònica en Abril"
Bigtimers announces the concert, as well as Playground Mag and Rock de Lux. and also some photographs from the soundcheck and the time in Madrid. online MG`s website - www.manuel-goettsching.com - enjoy the stuff !!! of his solo debut E2–E4." 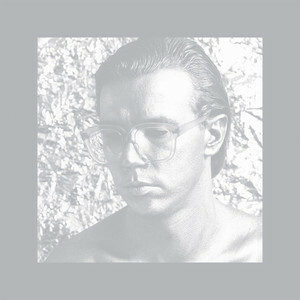 "M2G4" - Claudio Mate`s tribute to Manuel Göttsching out now on vinyl !!! 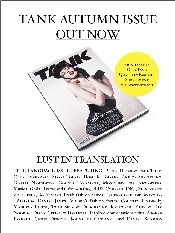 New article about Manuel in the TANK magazine !!! Click on the cover and you can read it. Enjoy it !! 10 questions to Manuel Göttsching with exciting and interesting answers. Dear Con, have a good trip to Eternity! R.I.P. at his home and edited it in Paris. Enjoy this nice souvenir. 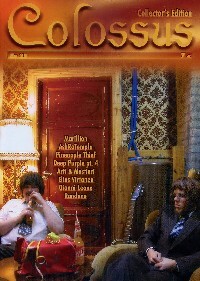 In an interview from 2007 Conny speaks about music and musicians. Manuel is also mentioned, please scrall down to his name. the very essential band bus of Ash Ra Tempel. 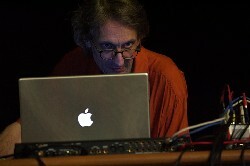 In co-operation with MG.ART and simultaneous memory of Conrad Schnitzler. of this time and two others when you click the pdf files. I put the three original pages from the "La Liberation" newspaper in a pdf file now online. The newspaper is only writen in french language - sorry guys. 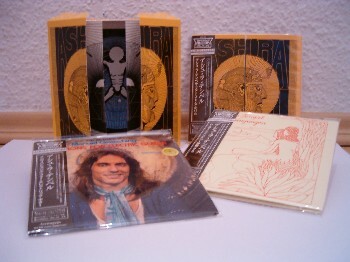 The five Ash Ra Tempel albums and the "Inventions for electric guitar" are finally out!!! we can send you the DVD of the concert in Poland: Wroclaw Live or Ashra - Live at Herzberg. 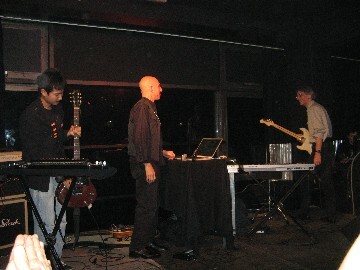 in New York and a successfull concert at E-Day (Nederland) in April 2011 - Enjoy it !!! Harald Grosskopf - Synthesist (Excerpt) from RVNG Intl. on Vimeo. 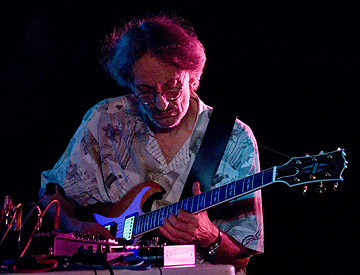 The first five ASH RA TEMPEL album and "Inventions for electric guitar"
"Fritz Bauer - Tod auf Raten (Fritz Bauer - Death by Instalments)"
three days after his sold out concert in Paris at La Villette Sonique Festival. Good news for our Fan`s in Japan!!! as Manuel Göttsching, Klaus Schulze and others. 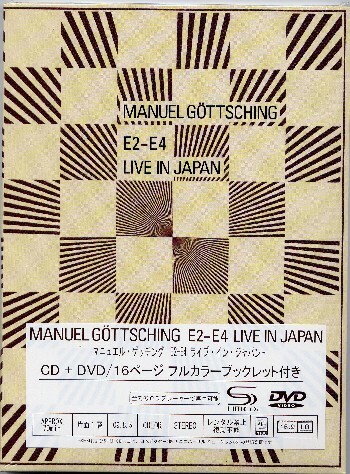 new CD/DVD release: "E2 E4 Live in Japan"
released only in Japan !!! Documentary by Ilona Ziok / 72 min. Workers` songs by Hans Eisler at al. story of two powerful men who shared an unlikely friendship. would become one of the heroes of the new East Germany. tides of Germany's post-war history." 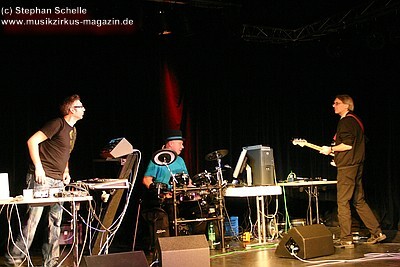 Manuel will be interview guest at the german radio show: "ElektroBeats"
on Radio Eins (Brandenburg/Germany). Only in german. 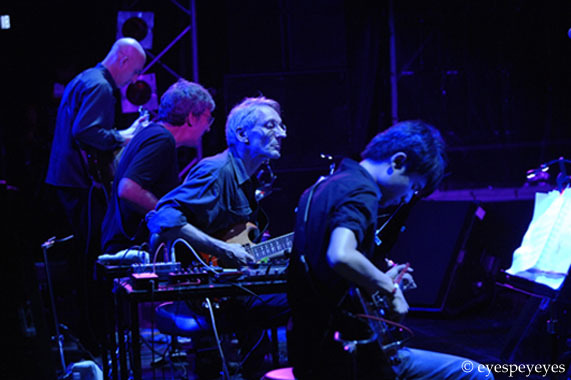 to play live at one of the influential and importend festivals in Japan. The 5 CD album: CORRELATIONS will be released as special edition. Wordless Music: "800 Years of Minimalism - The Spiritual Transcendent"
07:00 pm: Beata Viscera (Debut): "The Music of Pérotin (fl. c. 1200)"
There are no tickets or advance registration. The seated capacity is about 4000, including standing room up to 12000. Click first "listen to the whole show" and then the TC 33:07-34:27 min. Manuel Göttsching is planning to release all Spalax albums on his own label MG.ART asap. Releases are CD and some on Vinyl !!! :-) No release dates are known yet. one of Mr. Sommerfeld's favorite film directors. 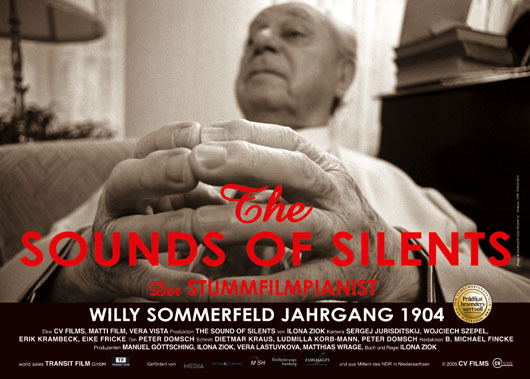 - THE SOUND OF SILENTS, a film about Mr. Sommerfeld from 2006, 80 min. UFA-FABRIK, Viktoriastr. 10-18, 12105 Berlin/Tempelhof, U-6, right at the U-Bahnhof Ullsteinstr. So some good reasons to join us for the hommage and visit this very special place! 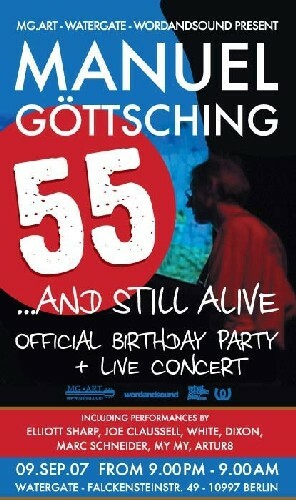 died in Berlin at age 103.
touring the world since 2006 ! 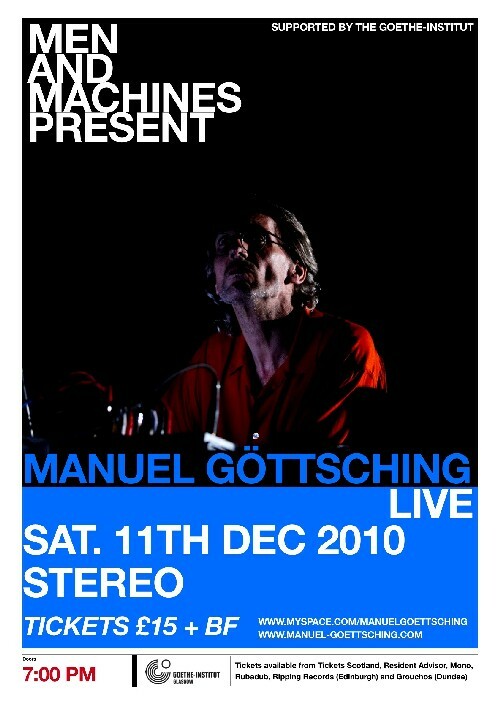 Manuel Göttsching on WORLDTRONICS - listen now!!! renown Berlin DJ Henrik Schwarz. not stop speaking.... When you understand German, enjoy Manuel's "music lesson" ! (Watergate / Berlin) September 2007. GROOVE and FRIEZE magazine very soon. The video of the event will be ready soon. and hear his music to the silent movie: "THE HAUNTED CASTLE (Schloss Vogelöd)" by F.W.Murnau's (1921) Here are some photos. The journey trip to Korea and the concert was filmed and will be released on DVD. 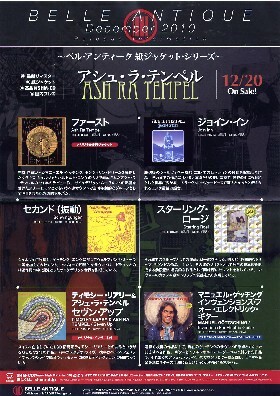 'Manuel Gottsching', 'Klaus Schulze', 'Ash Ra Tempel / Ashra', 'Tangerine Dream'. and Synthesizer music", recommands Howke! And:"Cool Vibes!" Only on HFM 102.3 [or via their website link] will you be able to undergo this audionic trip of a life-time! So tune into the "Hawke Chill Out Sessions", Saturday July 21st, 10pm to Midnight [BST]"
music on Friday the 6th July at http://www.nattefrost.dk/elektroland . You will also hear Manuel in an interview. Enjoy! get to know when they air it, it's individual from radio station to radio station. Together with the visual artist KINGA (Poland). Live CD + 20 min. Live Video (DVD) and interview. has imitated the artwork of "E2-E4"
reputation of the famous original! "E2 E4 live" / "Die Mulde" / "Concert for Murnau" / "Deeper distance"
Again Mix CD with Manuel Göttsching track on it - illegaly used!!! Mercedes Engelhardt created a room at the ART HOTEL in Lübbenau (Brandenburg - Spreewald/Germany). Manuel was invited to compose a special music for his room - the result was "DER WALD". that will appeal to old school techno pill - headsgarage aficionados and Balearic crusaders alike! The B-side instrumental mix removes Clark's input entirely for a proper Detroitian megamix." for polish TV - TVP Kanal Kultura. A CD release of this concert will be released in April 2007 and a DVD later 2007!!! 25th Anniversary "E2 E4" Edition !!! 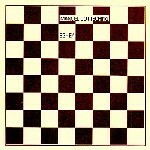 the 25th Anniversary edition of "E2 E4". full of information about the story of "E2 E4". his master piece of music. Japan 2006 and also about the Berlin Concert December 2006. Tthe musical highlight(s) of the show will be excerpts from the E2-E4 live concert in Japan. Live Interview is in german. 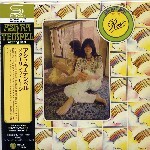 and Japanese genres and music scenes, centering on Japanese rock and pops. a short interview with Manuel Göttsching and the Kirstian Beyer (part of Àme): "Nimm Zwei"
On the same day 25 years ago (12-12-1981) he composed, played and recorded E2 E4 !!! (http://www.berghain.de/), but I wouldn't trust that there will be tickets left.... "
perform E2E4 live for the very first time. E2E4 is a classic, an anthem of ambience and beauty from the days of the Paradise Garage. 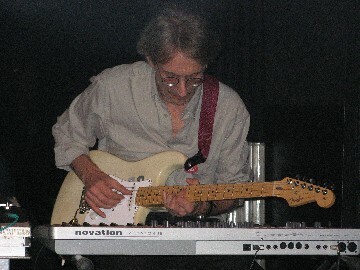 Göttschling's sound check. 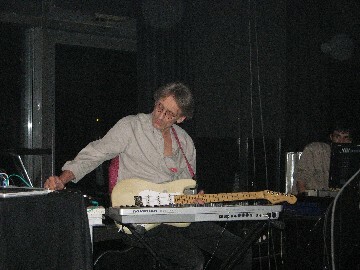 There he was, this elderly fellow in a shirt, with thick glasses, a keyboard, a guitar and a laptop. and Mr. Göttschling was seated, looking absentmindedly into the darkness beyond the edge of the stage." japanese label ARCANGELO (ARC 7168). Not remastered and also with no additions. - or for very high prices. Also available a special Promo Box and a E2 E4 T-Shirt. in their radio show: Rock Evolution (08pm to 9pm) excerpts from E2 E4 live. Manuel back in Japan with a live world premiere!!! for the first time ever this live on keyboards and guitar !!! 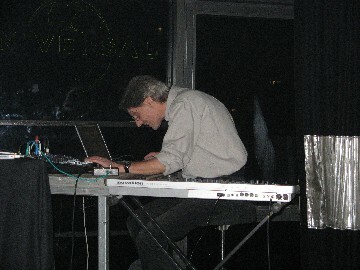 Now the first pictures online of the Manuel Göttsching performance in Wroclaw/Poland 22nd of July 2006. Pictures of the second gig will follow soon. CD and Vinyl release here. "Joaqiun Joe Claussell meets Manuel Göttsching"
last Japan trip. He was the main act at the PRISM festival in Fuji (29th of April 2006). 6. International Film Festival ERA NEW HORIZONS (20th - 30th, July 2006) in Wroclaw (Poland). 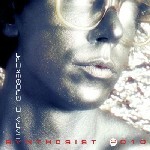 Solo concert "The Haunted Castle (Schloss Vogelöd)" only pure electronics !!! Manuel Göttsching production: DIE MULDE. "Lüül - a musician life between Agitation Free, Ashra, Nico, the NDW and 17 Hippies"
after 9 years again in Japan. Dont miss it! 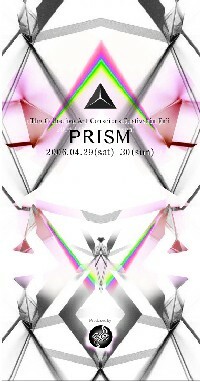 The Concert will take place April 29th, 2006.
will accompany this concert visual. A musical and also visual concert highlight. "Die Mulde" and "E2 E4 live". 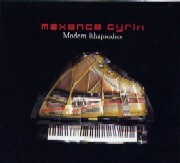 The french pianist Maxcene Cyrin released on the F Com. label (France) the brillant CD: Modern Rhapsodies. This CD contains 14 tracks played only on piano. plays guitar on the Winter version of this track. Harald Grosskopf production: "Yeti society". - or ask me after the show for a braodcast recording. Available now as fan recording. Here now the date: January 25th, 2006 - from 11pm - 0.00 am!!! from Manuel Göttsching. You will can listen it online. Talk and discus about the new release: Die Mulde. between 0 am and 01 am (CET). 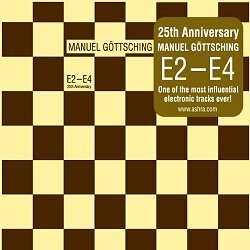 And the Highlight in January 2006: Manuel Göttsching will be a live studio guest on the fantastic german electronici music radio show: "ElektroBeats" on "Radio Eins". No exact date are known at this moment, watch out for the interview date !!! TV-Programme ARTE will broadcast today the documentary "Mon Jules Verne" on 10.45 pm. The documentary is an personal hommage from Paricio Guzman ("Salvadore Allende") to the french adventure author. Ilona Ziok (Manuel Göttsching`s wife) co produced and developed this movie. This is only interested for guys they understand german or french !!! "Literaturbüros in Niedersachsen - Zeitgenossenschaft No. 45"
Lüül`s album: "Ahoi" is re-released now on the german Label: Grundsound (5909-2). Re-release date was the 18th of July 2005. 19th of August 2005 (09pm). 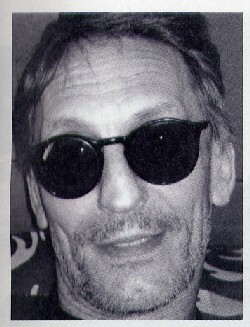 Manuel Göttsching`s Top 5 of "Best citys" , "Favourite Songs" , Favourite Books" ... all in german. from the forthcoming Manuel Göttsching album: Concert for Murnau on their issue No. 19 !!! 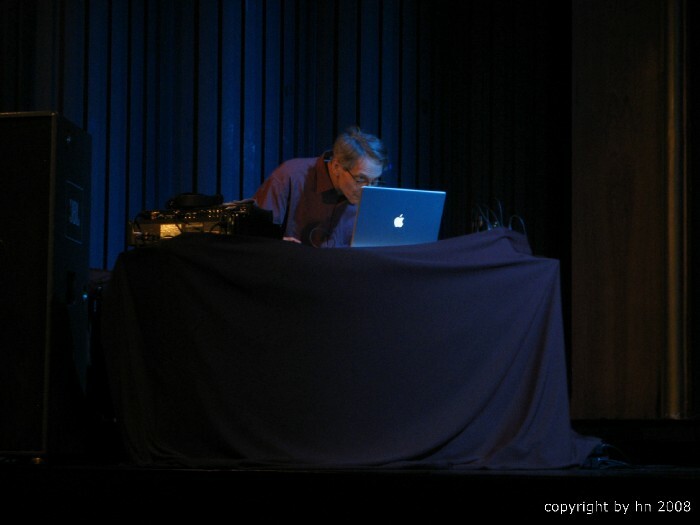 that he gave in Dec. 2004 for the Progressive Soundscapes Internet Radioshow: "Progs Edge"
via telephone. To listen or download click on the left side the Interview button - and enjoy it. 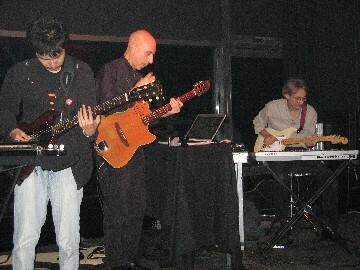 featuring Manuel Göttsching on guitar! Date: 25.03.2005 / Location: Berlin - Volksbühne (Rosa-Luxemburg-Platz). Starts at 08.00 pm. of the best electronic music title. Each artist or group of music could be only once represented. I reported on it. Over 500 Votes became to deliver. 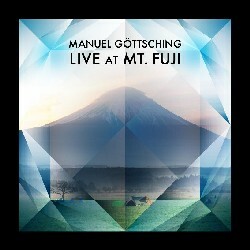 After a long time of waiting, is now a new solo album of Manuel Göttsching ready. After the mastering it will be available not before May 2005. "Concert for Murnau" so the titel of the forthcoming album contains orchestral and electronic parts. 8 or 9 Orchester parts (appr. 20 min.) and 3 electronic parts (appr. 30 min.). Braunschweig (Germany) 31-Oct and 01-Nov-2003 at the FilmFestival. Also will be released on CD: "Die Mulde" (42 min.) with special bonus track: "HP little cry" (appr. 30 min.) recorded in 2004. Planned also for this year - a classic concert release. in a special paper sleeve package. 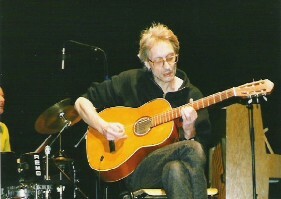 of Manuel Göttsching on December 05th, 2004 (Sunday). Start is 8pm EST. differences. Also, it will be archived on our website for any fans who wish to download it and listen to it at a later date. albums on CD in a special paper sleeve package. Text was written by J. Soultanova. new Harald Grosskopf CD: "Yeti Society" is announced for the October 09th, 2004.
by Steve Baltes. Tracklist add. to hear stories. I add two photos in the A.R.T. Gallery section, please click here. Happy Birthday Manuel - tribute-to-ashra congratulate Manuel to his 52. Birthday and wishes it all property, health, success and hopefully, we can enjoy still years about his music ideas and releases. Also the Groove Label will re-released the Baltes, Grosskopf and Heilhecker CD: "Four time 3"
(GR-104) in September 2004. 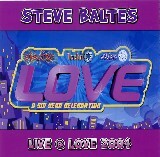 First release was on Manikin Records MRCD 7058 in 1998. Manuel Göttsching visited the International Film Festival in Cannes May 2004. His Film Production Company CV-Film`s was on start with the documentary: "Salvadore Allende"
a co-production. 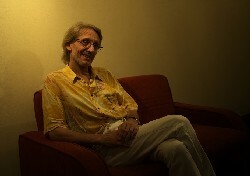 I am very proud to present some photos from the visiting in Cannes, thank you Manuel. 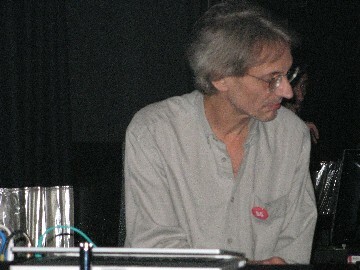 prominent guest stars from the international field of electronic music. unknowingly aids the Loudies to spread their alien invasion to Europe. to battle the invaders on their own turf in another dimension. 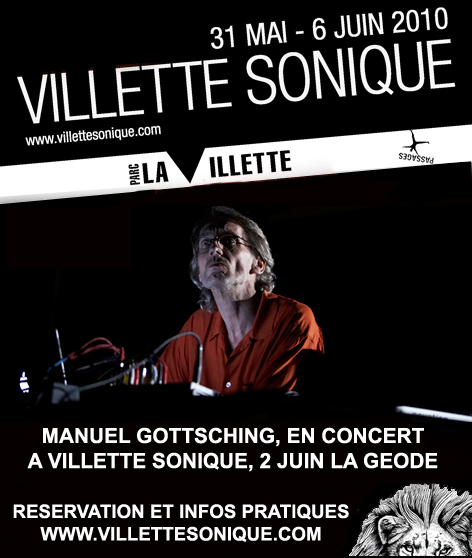 (the grandfather of modern European electronic music). 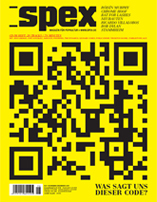 The first issue is at press and will appear in comic book stores in June 2004. Issue #2 will follow in August. (Manuel Göttsching`s film productions company) and is out of competitions. 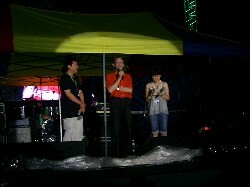 The Nomi Song wins the Teddy Award at the Berlinale 2004 !!! For its remarkable depiction of a queer pop icon’s life and his substantial influence on the zeitgeist." THE NOMI SONG (ARTE/ZDF) by Andrew Horn. Produced by Manuel Göttsching`s film production company CV-Films. this year dedicated to the last silent movie accompanist still alive, Prof. Willy Sommerfeld. will be presented in Berlin, summing up to 43 minutes. Speakers are Dieter Kosslick, Ulrich Gregor, and Christoph Terhechte. 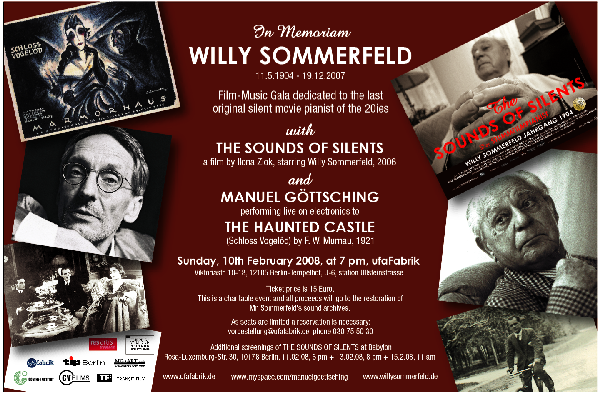 As a climax of the celebration, Prof. Sommerfeld will accompany a silent movie LIVE: 06.02.2004, 14:00, Arsenal. (first famous AIDS victims / a completely great artist, whom David Bowie discovered). noted for his remarkable vocal performances and unusual stage persona. He died of AIDS-related illness in 1983, one of the first celebrities to die of this disease. A new E2 E4 remix see the light of day - "Adam Beyer E6 Remix" , this remix runs in many clubs around the world. 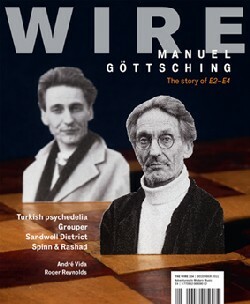 In summer 2002 interviewed Alexej Krupskij (Belarus) Manuel Göttsching in Berlin. "Schloss Vogelöd/The Haunted Castle", the release on CD and DVD is being prepared. At the moment, we hope that the remastered movie will be released with the new music accompanying on the DVD. maybe in slightly reworked form (in contrast to the concerts). In short, these are only possibilities at the moment. There is no release date as well. official promotion card: "Schloß Vogelöd/The Haunted Castle"
"Manuel Göttsching Interview on EssentialMovements"
The EssentialMovements website with Manuel Göttsching Interview.
" Manuel Göttsching - A Rebel Bourgeos"
and its a conductor to meet. 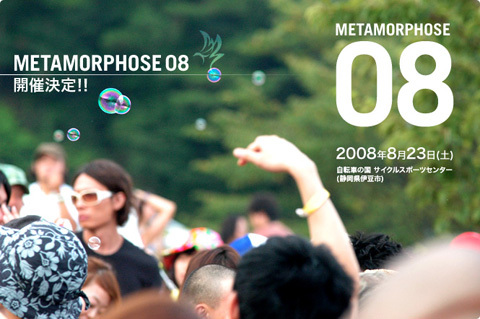 The Festival was canceled 2002 and also 2003. Moreover, Manuel writes/completes his work on his music for the Ilona Ziok movie "Der Junker und der Kommunist"
that will be premiered on July 19th and 20th at Neuhardenberg, near Berlin. Music by Manuel Göttsching, Hans Eisler and others.. Promotion Card see Collection News. The movie will be released on Video, but a soundtrack release on cd is currently not planned.